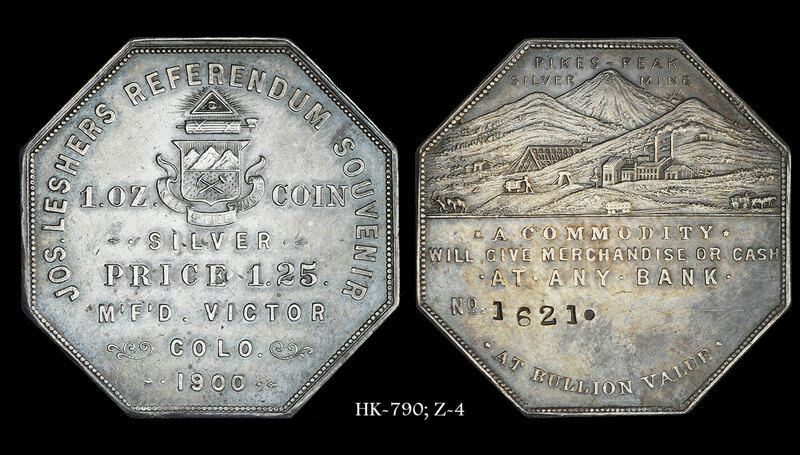 Spaniards brought the first coins to Colorado in the 16th century. 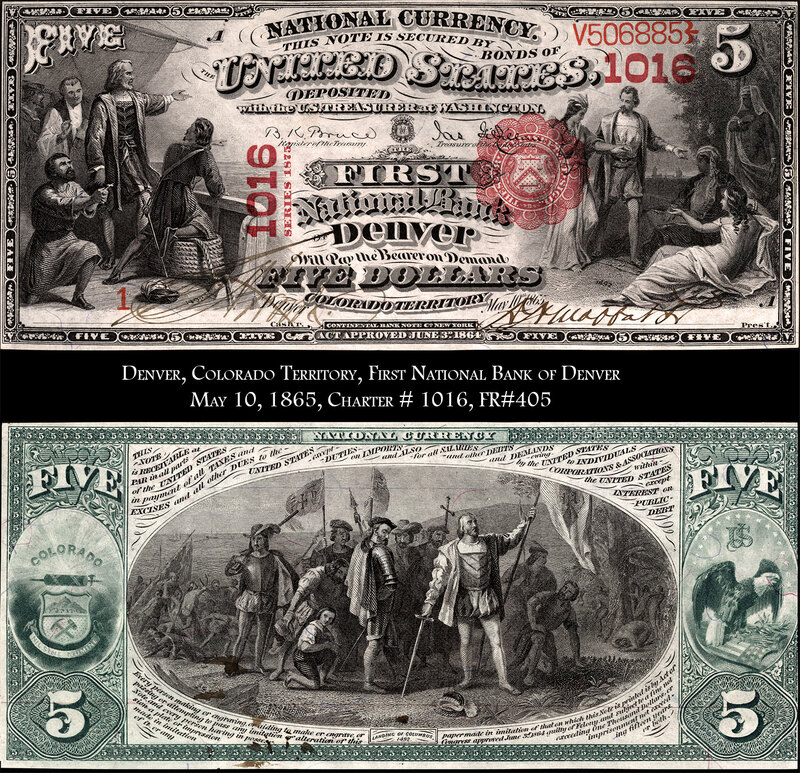 These consisted of silver and gold coins, including the father of the American dollar – the Spanish 8 real coin or Spanish dollar. 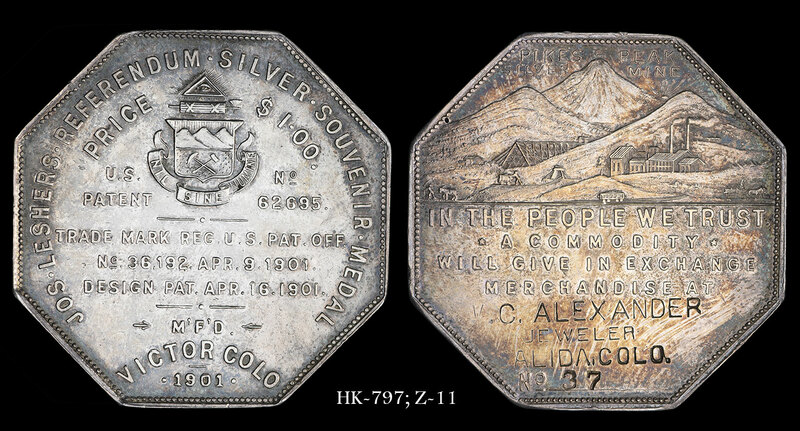 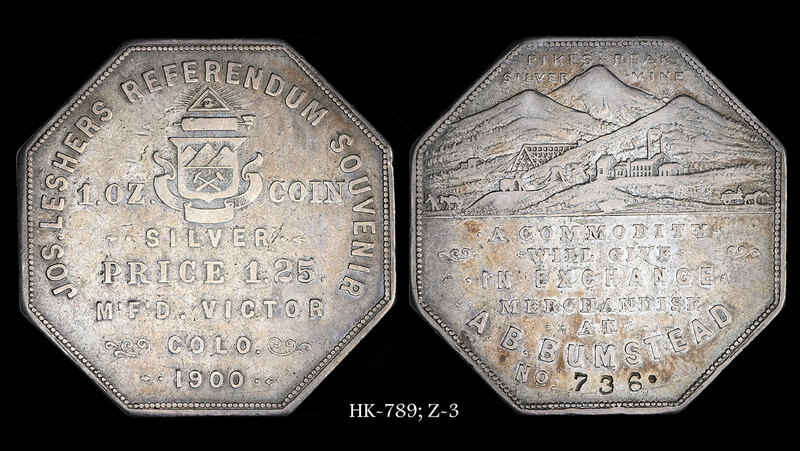 Spanish coins continued to be used in Colorado after the Spanish and French gave up claims to the territory. 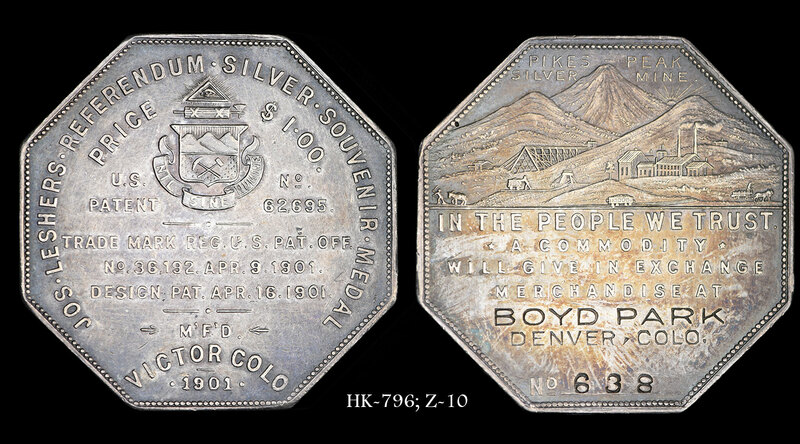 Colorado was recognized as a territory with defined borders in the 1850s, just before the Colorado gold rush of 1859. 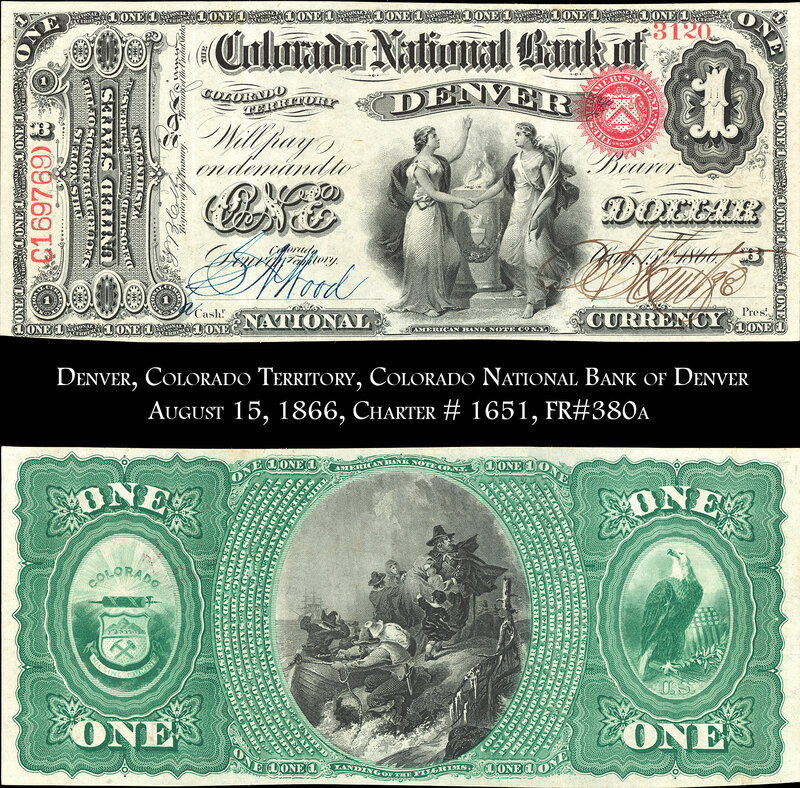 Among the most interesting numismatic legacies of Colorado are the early National Bank notes. 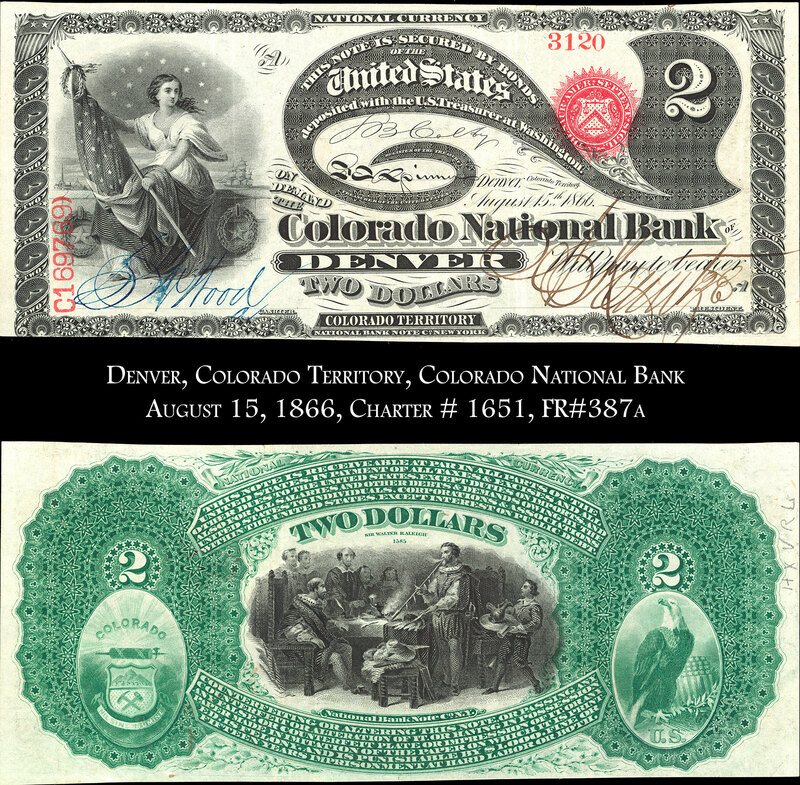 There were a total of 185 banks that issued National Bank notes in Colorado from 1863 to 1935, a beautiful record of Colorado's economic history. 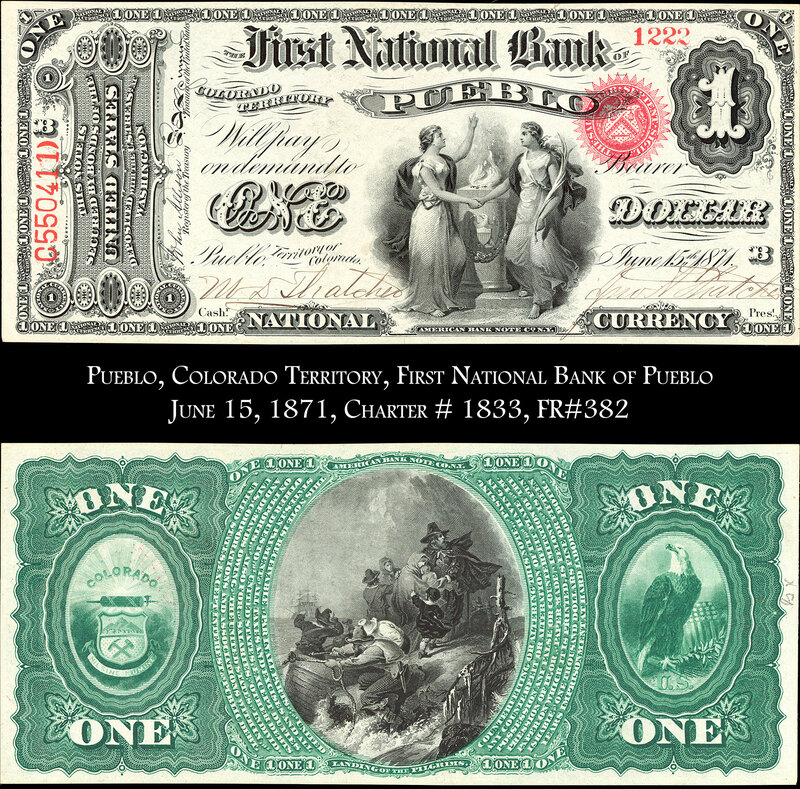 If you come from any major town in Colorado, it more than likely had at least one National Bank that issued notes. 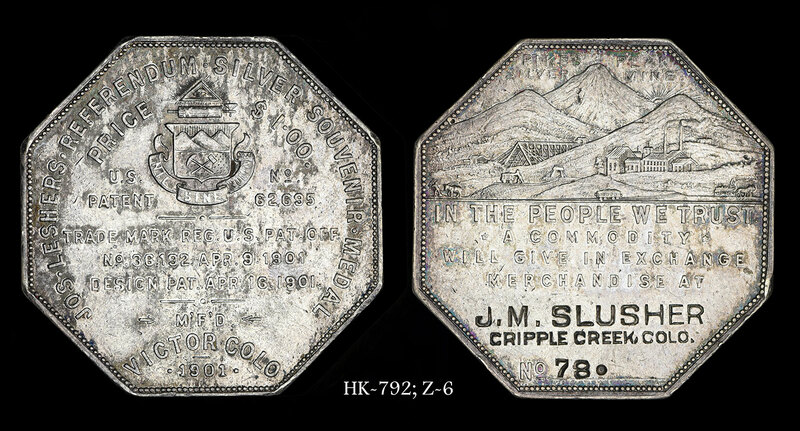 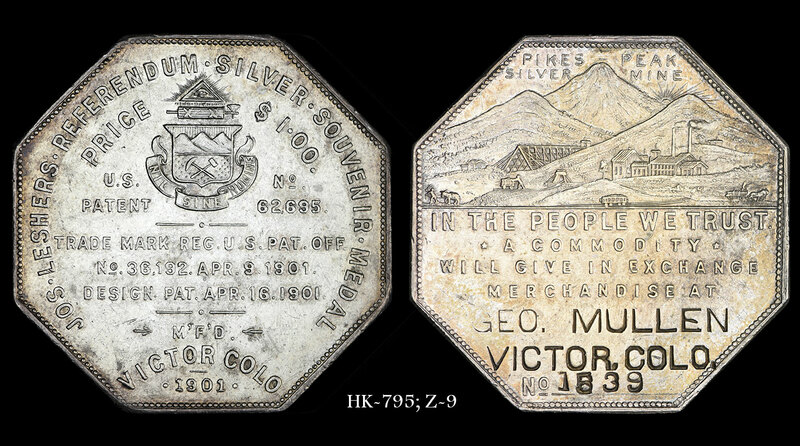 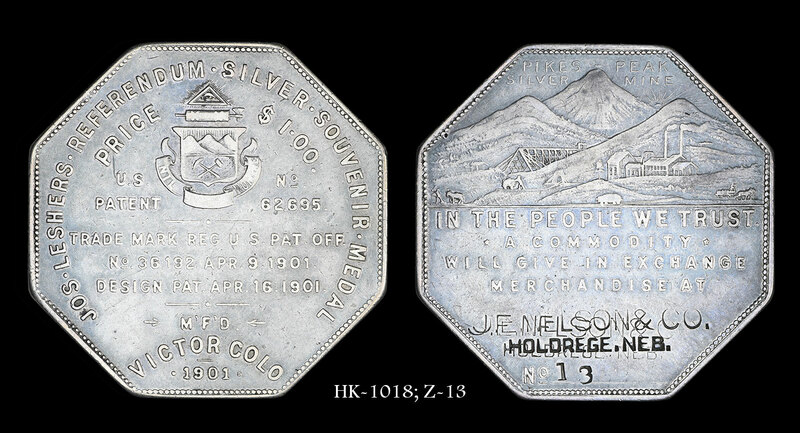 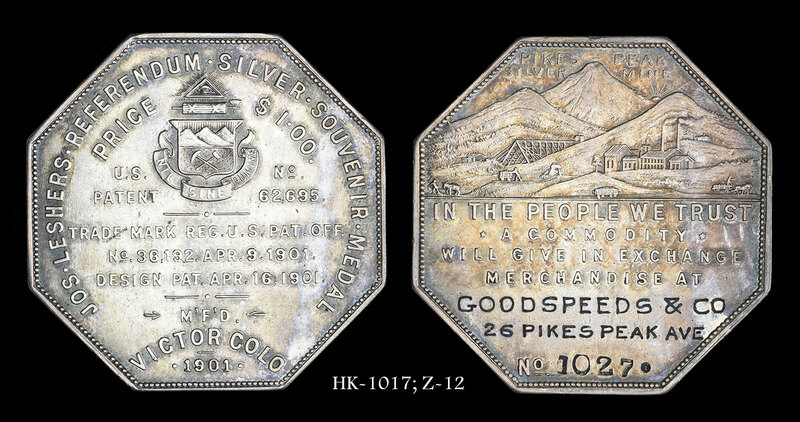 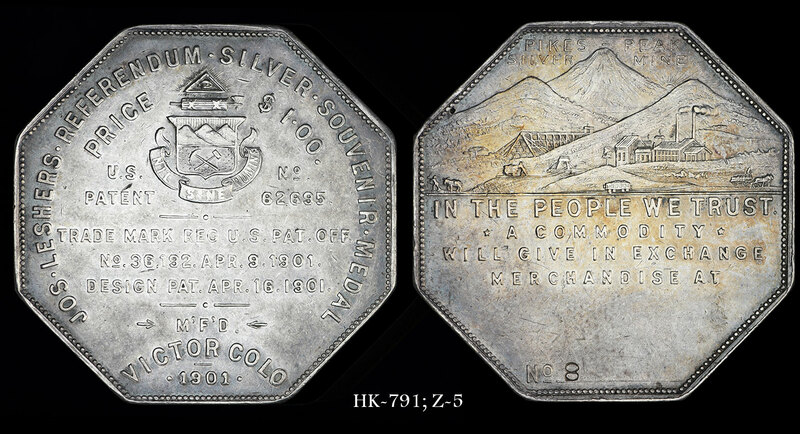 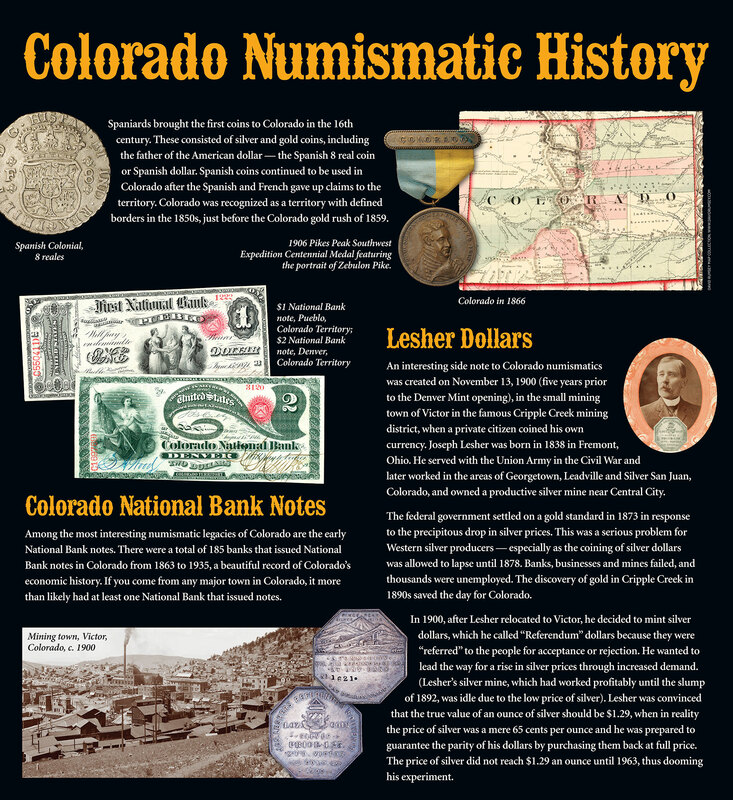 An interesting side note to Colorado numismatics was created on November 13, 1900 (five years prior to the Denver Mint opening), in the small mining town of Victor in the famous Cripple Creek mining district, when a private citizen coined his own currency. 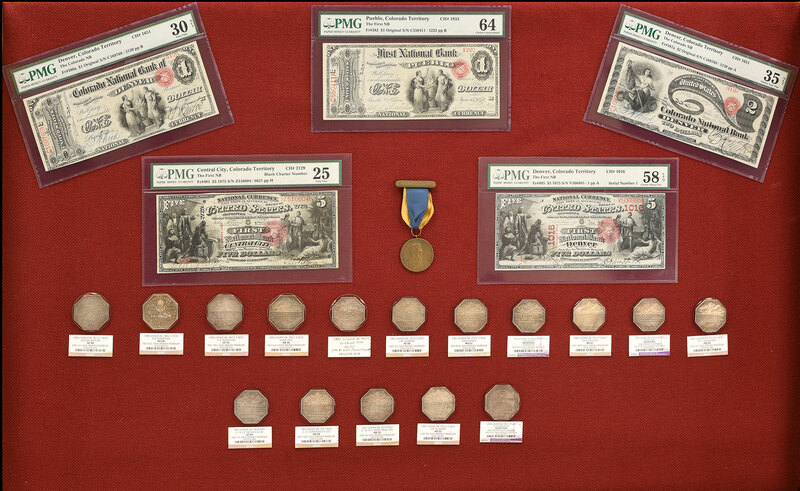 Joseph Lesher was born in 1838 in Fremont, Ohio. 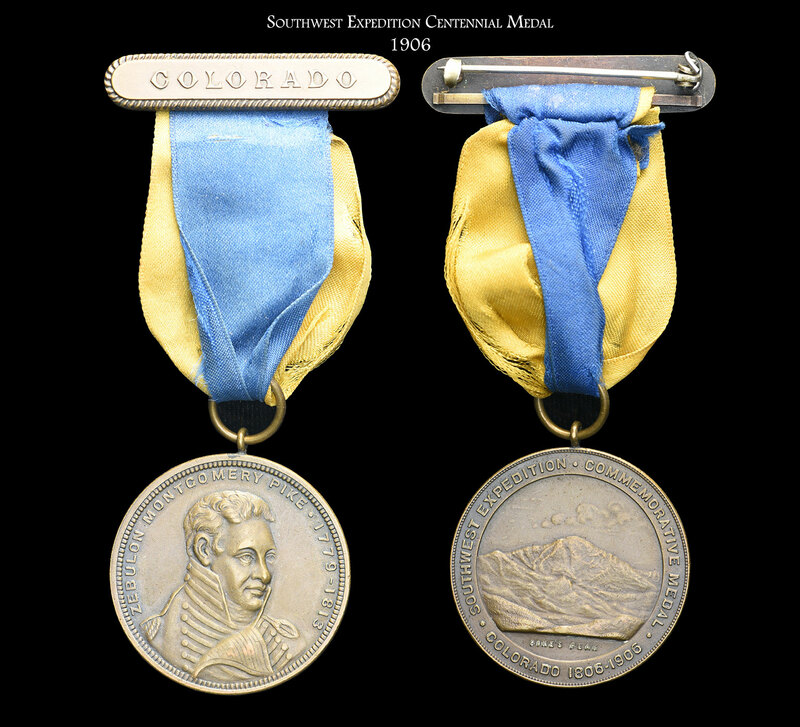 He served with the Union Army in the Civil War and later worked in the areas of Georgetown, Leadville and Silver San Juan, Colorado, and owned a productive silver mine near Central City. 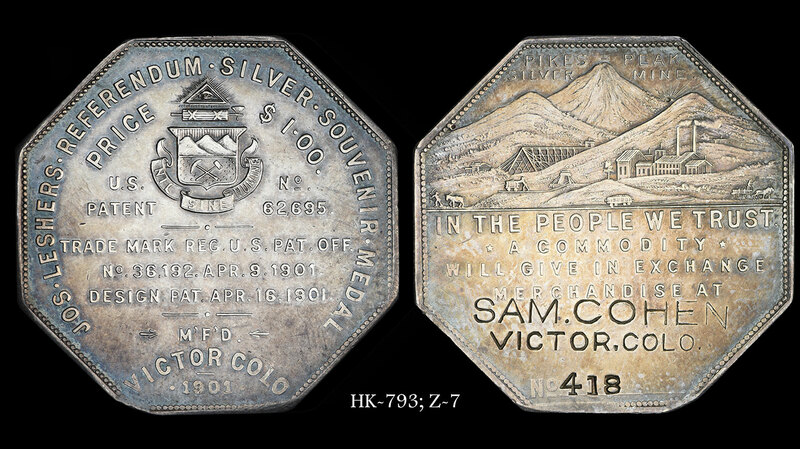 The federal government settled on a gold standard in 1873 in response to the precipitous drop in silver prices. 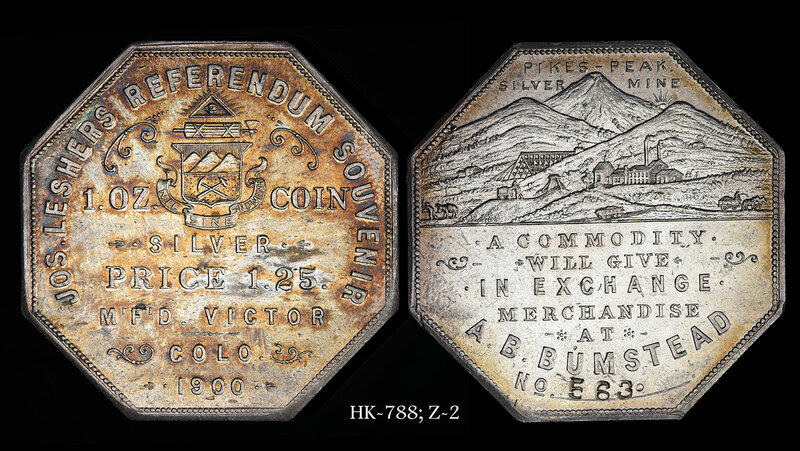 This was a serious problem for Western silver producers – especially as the coining of silver dollars was allowed to lapse until 1878. 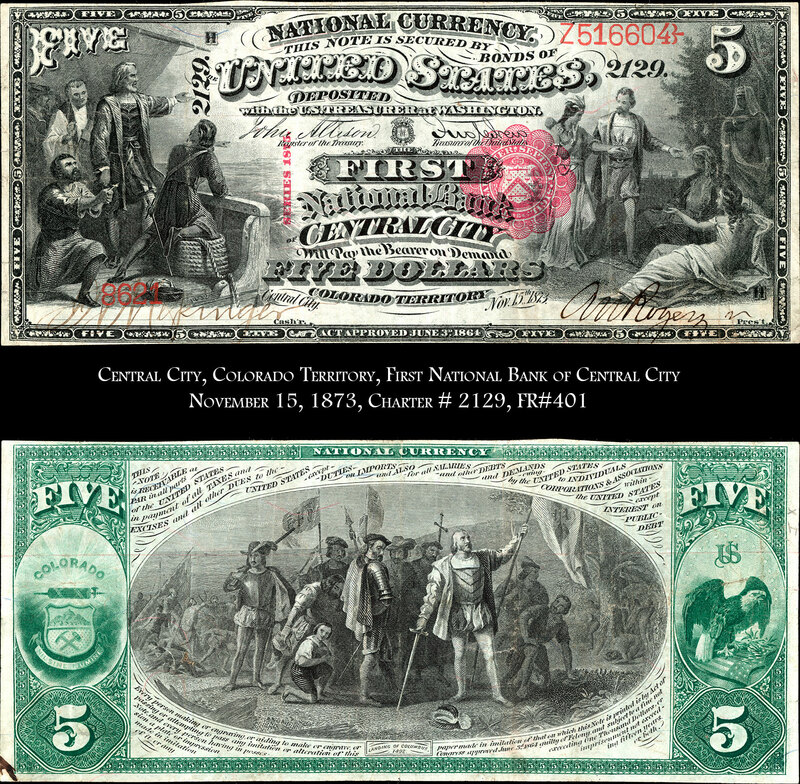 Banks, businesses and mines failed, and thousands were unemployed. 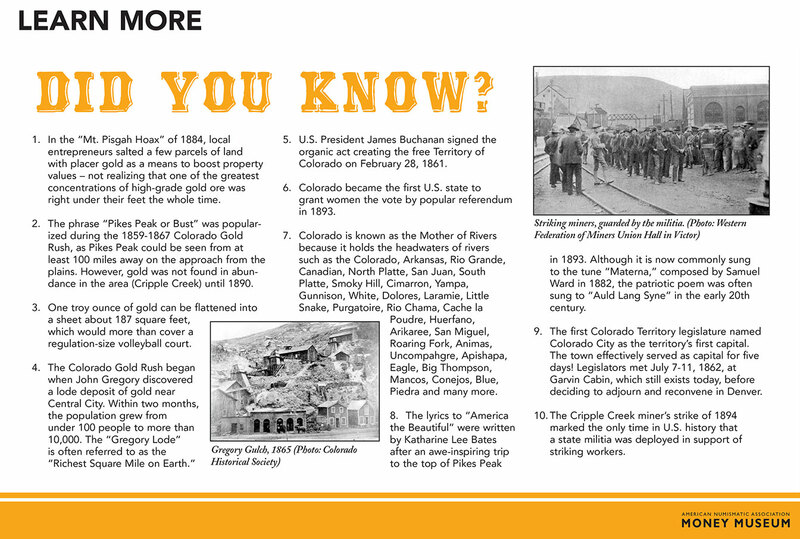 The discovery of gold in Cripple Creek in 1890s saved the day for Colorado. 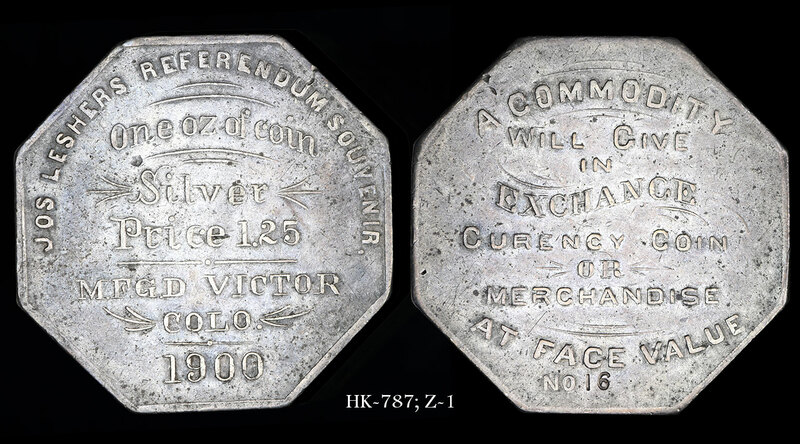 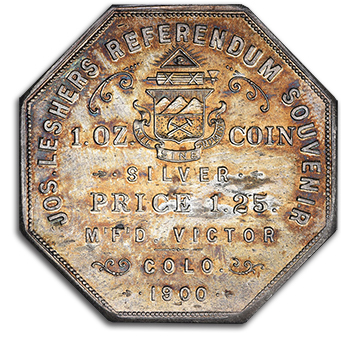 In 1900, after Lesher relocated to Victor, he decided to mint silver dollars, which he called "Referendum" dollars because they were "referred" to the people for acceptance or rejection. 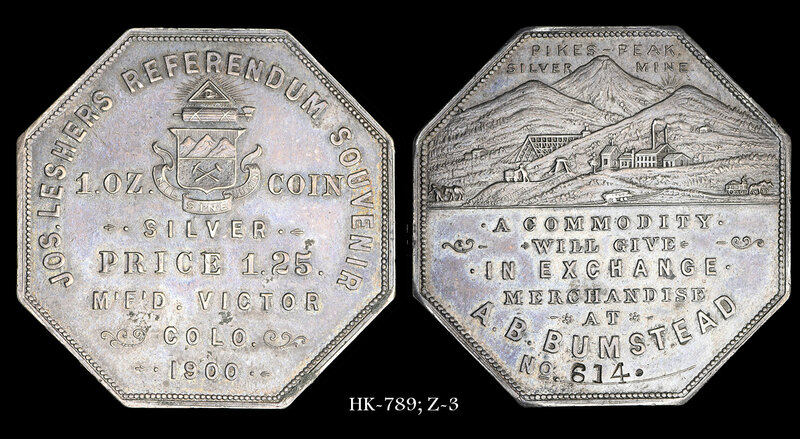 He wanted to lead the way for a rise in silver prices through increased demand. 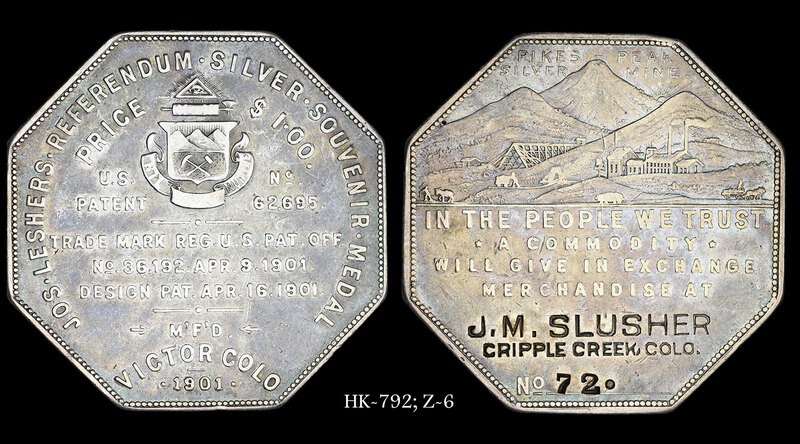 (Lesher's silver mine, which had worked profitably until the slump of 1892, was idle die to the low price of silver). 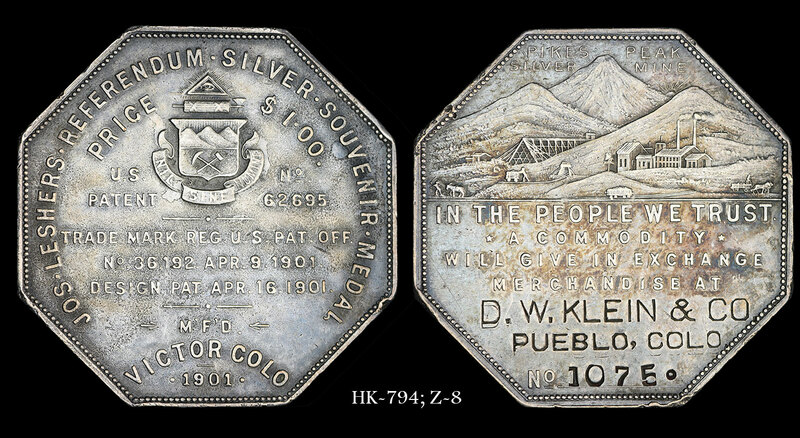 Lesher was convinced that the true value of an ounce of silver should be $1.29, when in reality the price of silver was a mere 65 cents per ounce and he was prepared to guarantee the parity of his dollars by purchasing them back at full price. 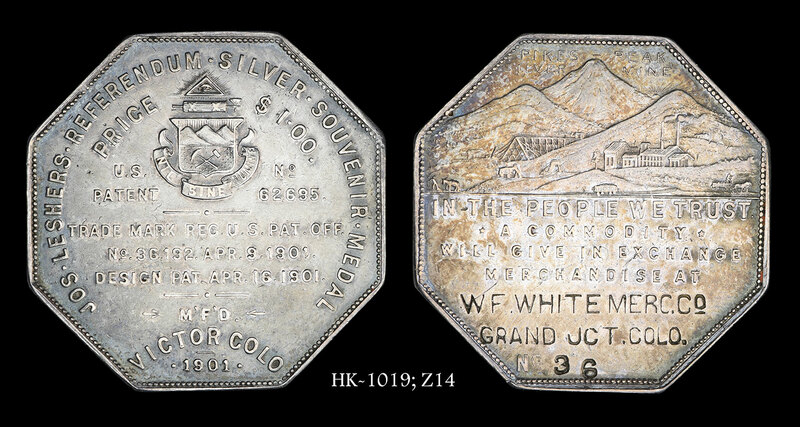 The price of silver did not reach $1.29 and ounce until 1963, thus dooming his experiment.